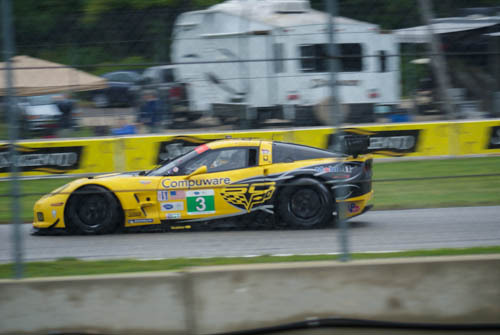 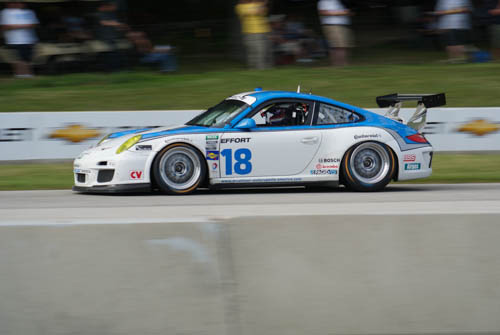 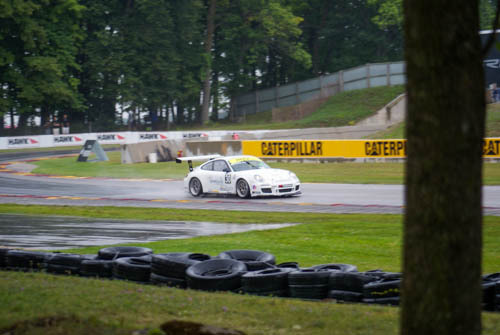 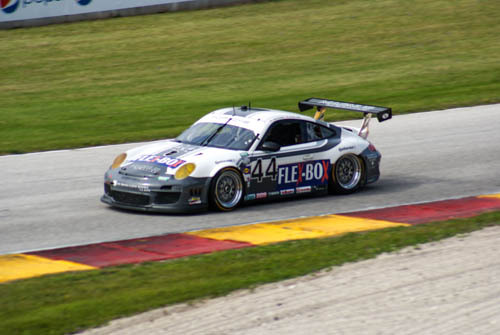 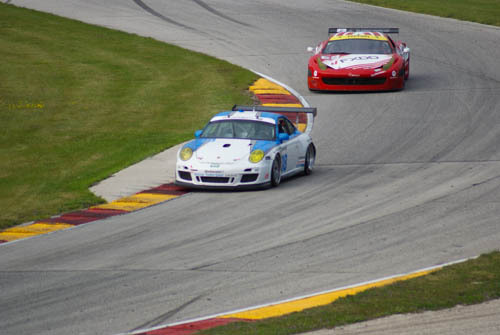 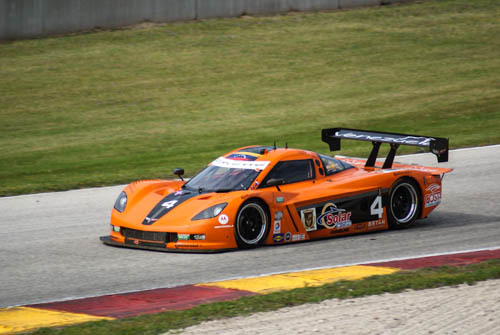 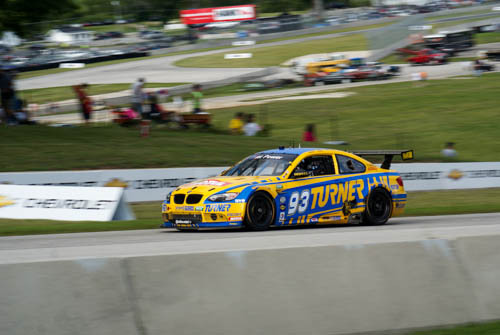 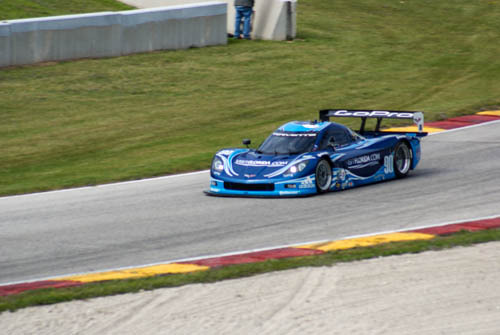 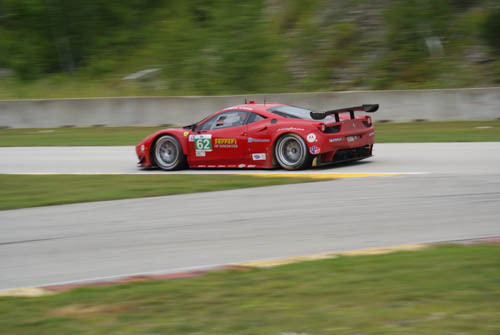 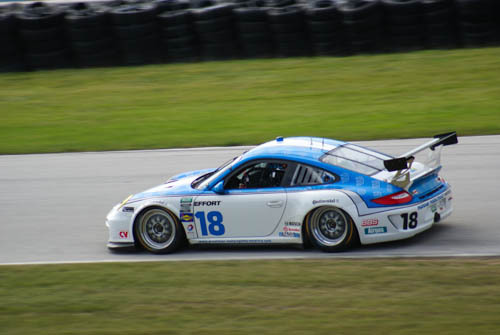 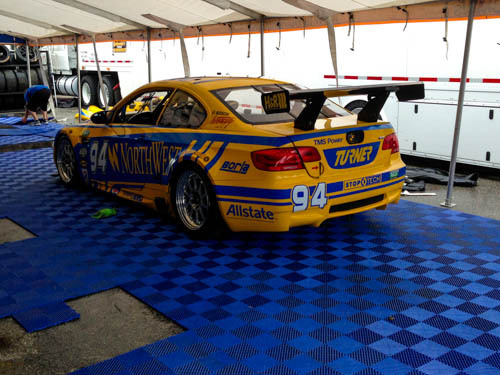 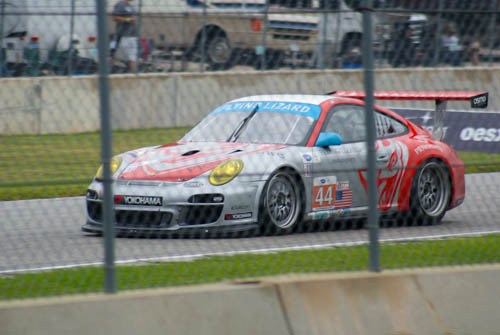 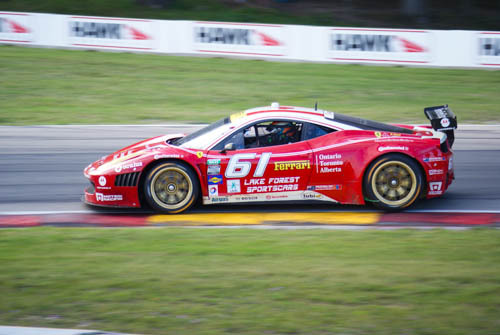 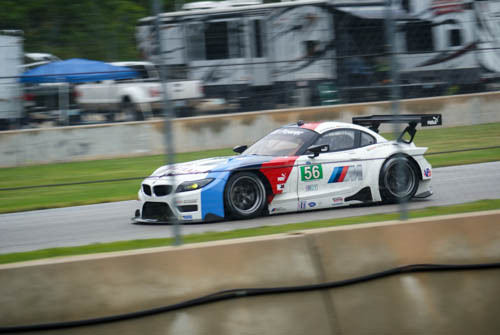 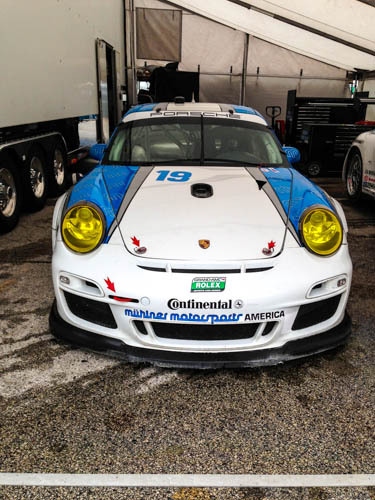 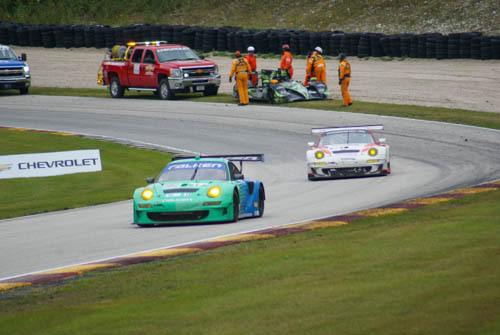 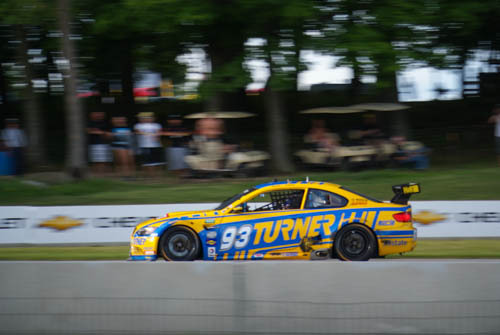 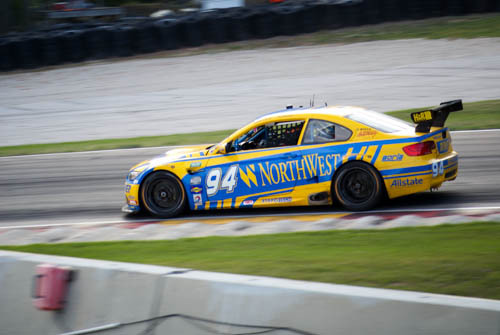 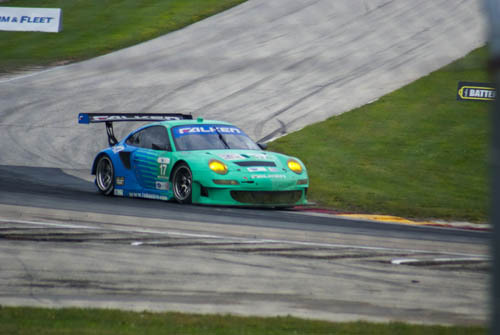 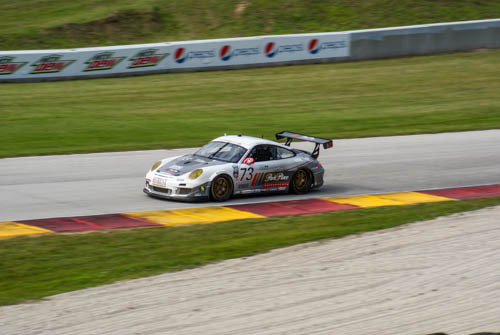 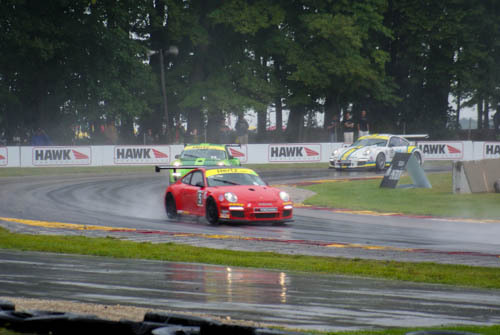 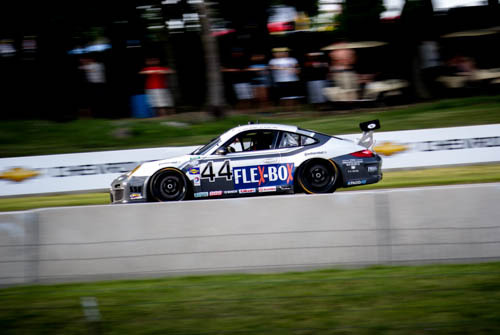 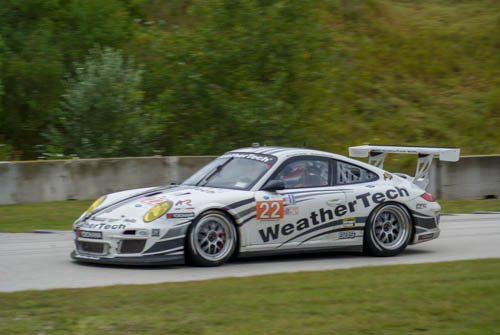 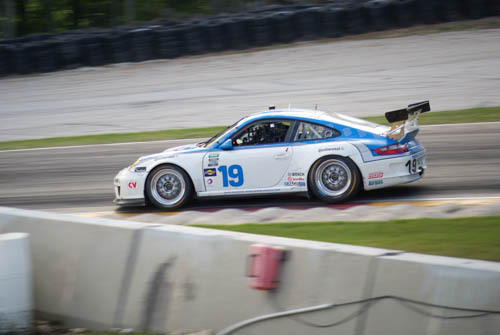 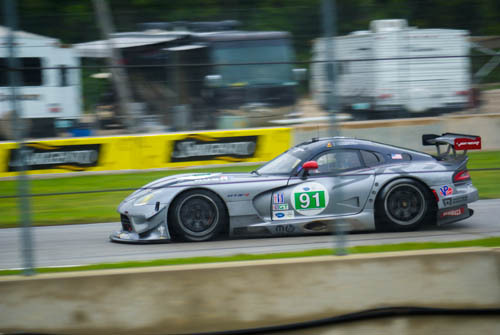 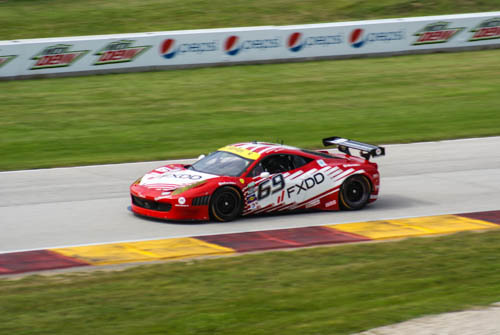 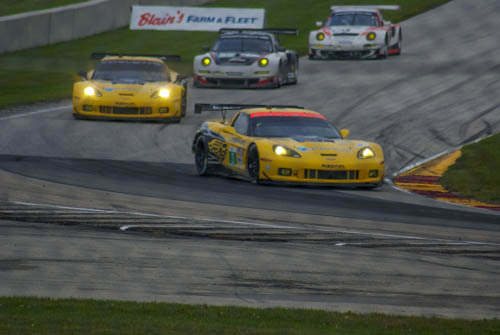 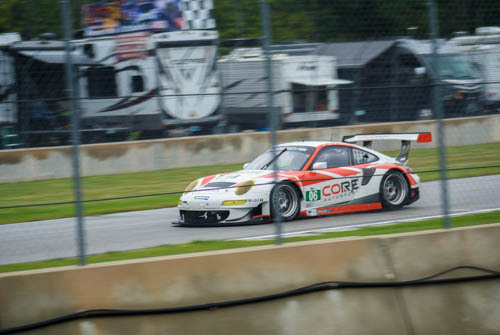 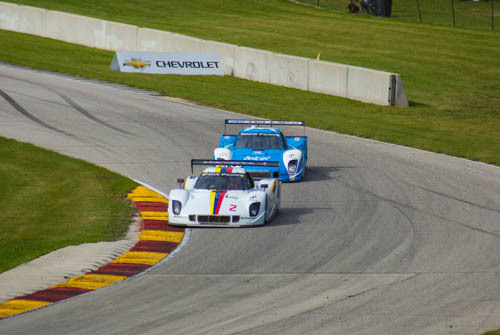 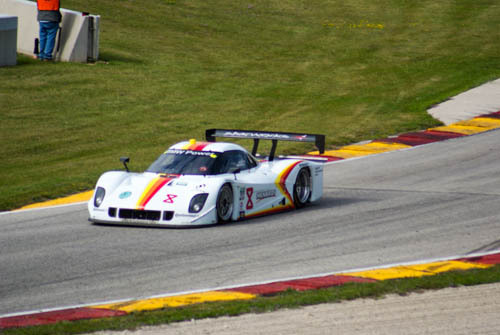 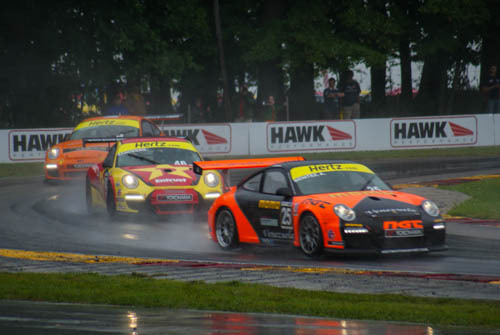 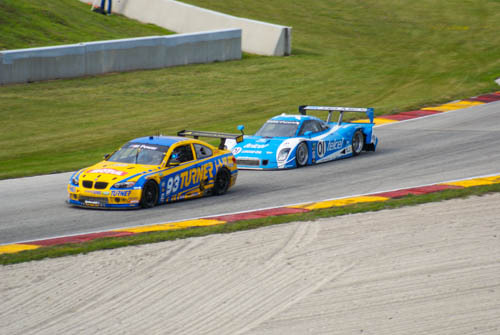 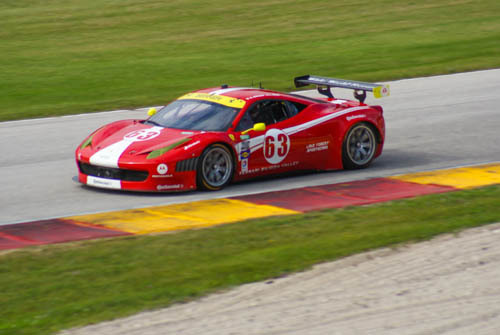 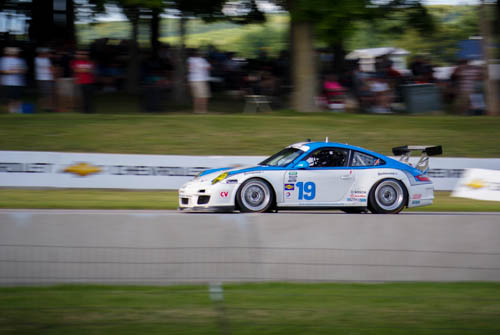 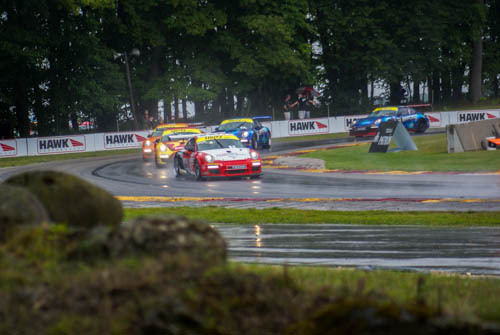 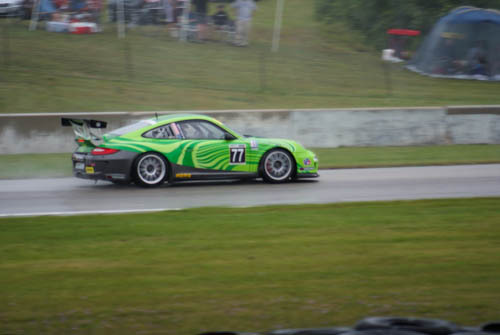 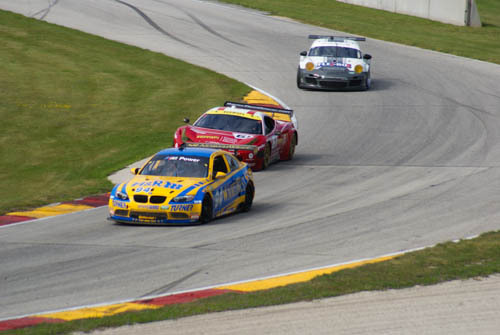 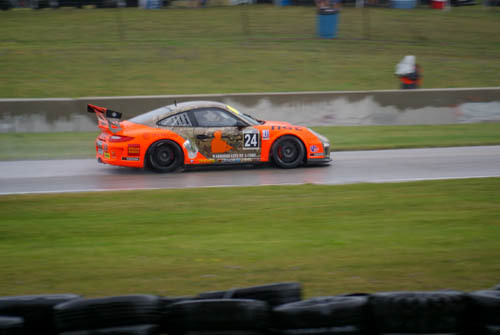 This past weekend Road America hosted both the Grand Am series and American Le Mans for a sports car double header weekend. 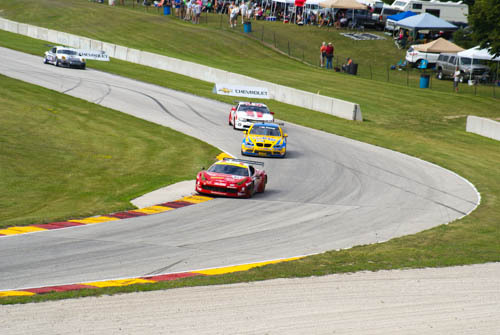 Arguably the best race course in North America, Road America was the perfect backdrop for these races. 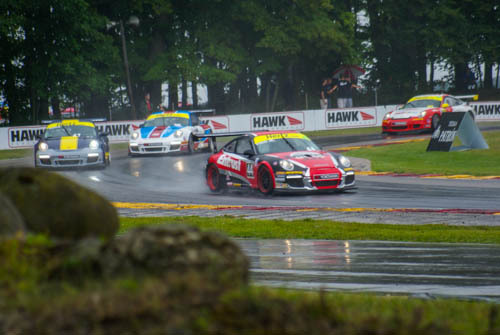 The weekend proved that even a bout of rain showers couldn’t keep the fans and participants alike from having a great time. 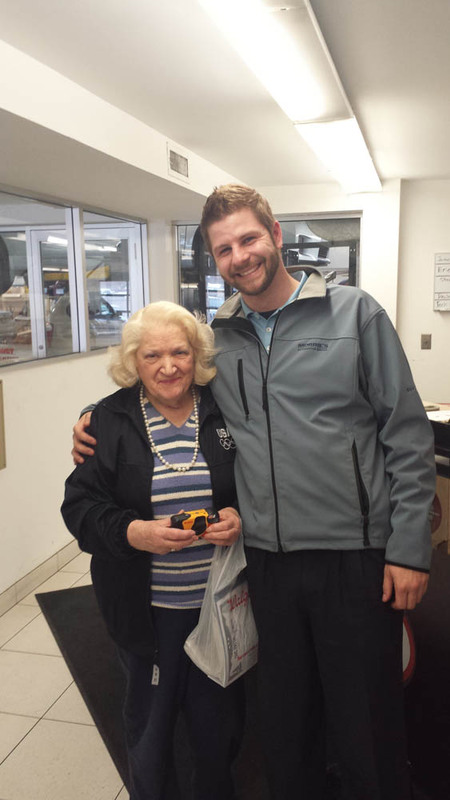 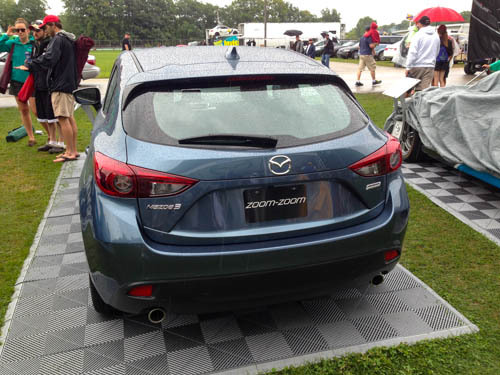 As a long time Mazda dealer it was great to see Mazda running in not one, but both series. 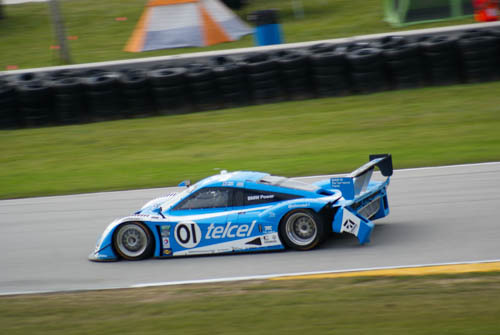 On Saturday afternoon the Grand Am sports cars and Daytona prototypes took the green flag for a two hour and forty five minutes race. 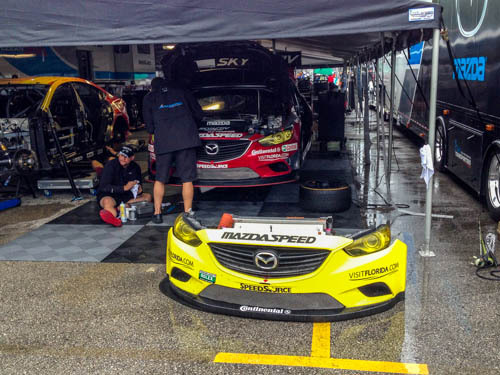 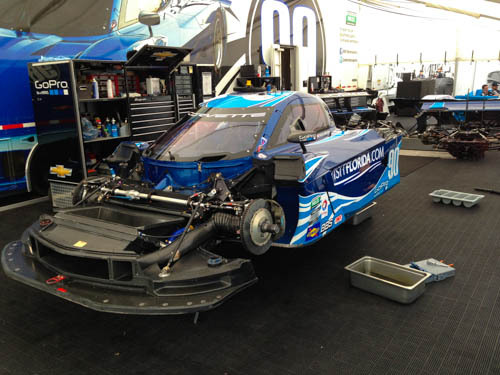 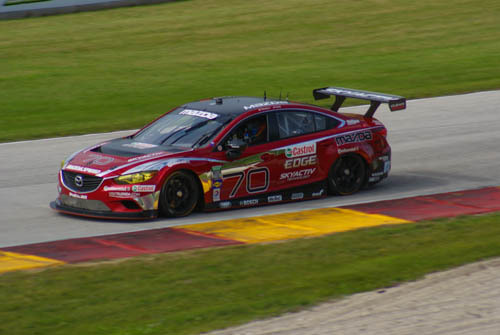 No stranger to Grand Am racing, Mazda committed to running the season with their Skyactiv-D Mazda6s. 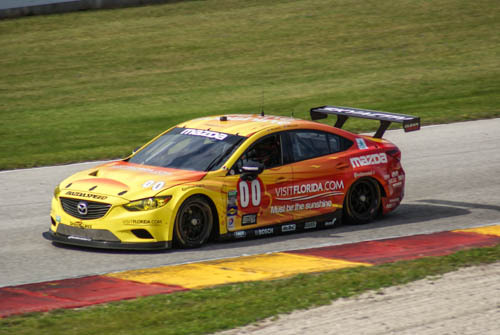 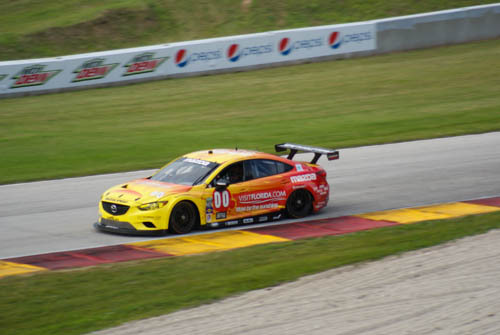 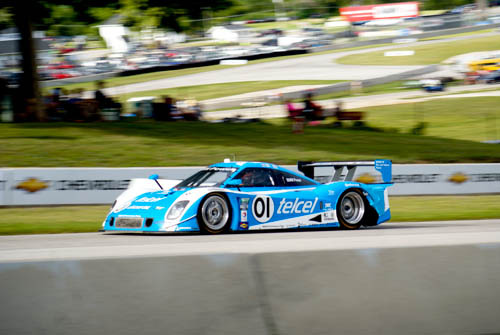 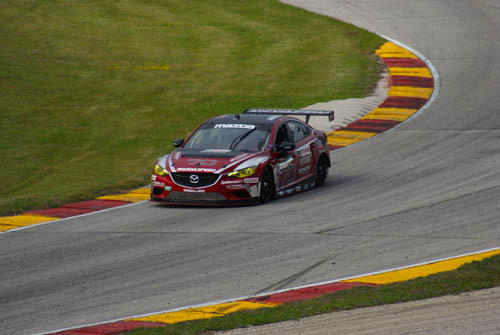 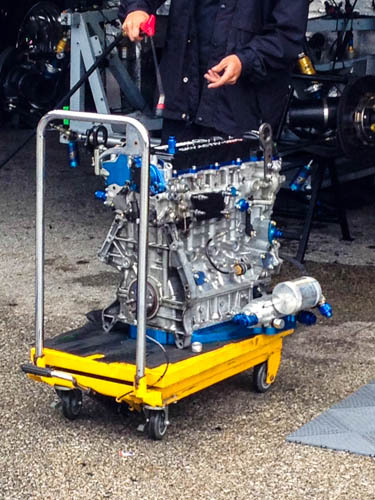 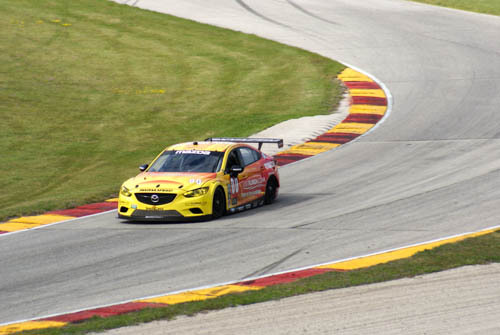 A first for the series, Mazda’s diesel race car achieved it’s first win earlier this year and the two car effort came to Road America hunting for another win. 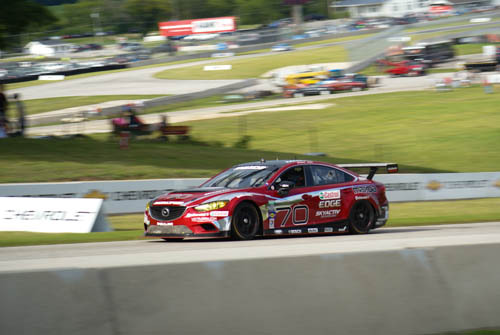 Whereas car races are typically characterize by a cacophony of V8 roars and screaming six cylinders, the Skyactiv-D Mazdas made nary a noise. 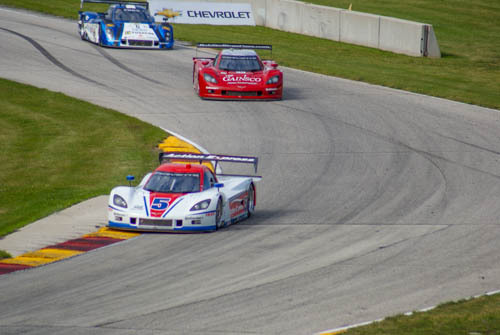 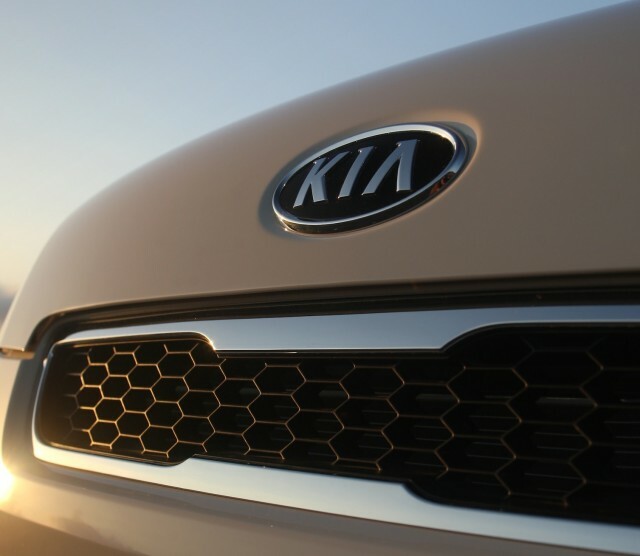 With each passing lap all you heard was a rush of air from the turbo diesel, an occasional tire squeal and wind gliding over the cars sleek body. 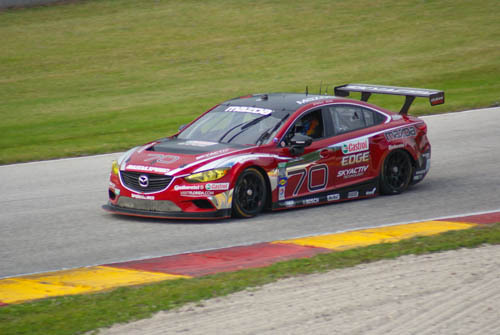 While the race was not trouble free for either team, SpeedSource’s VisitFlorida-backed Mazda6 of Joel Miller and Tristan Nunez came out on top in GX. 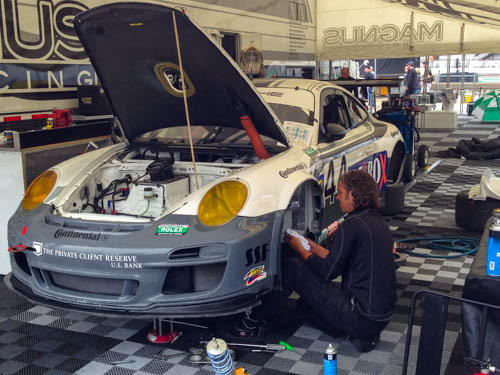 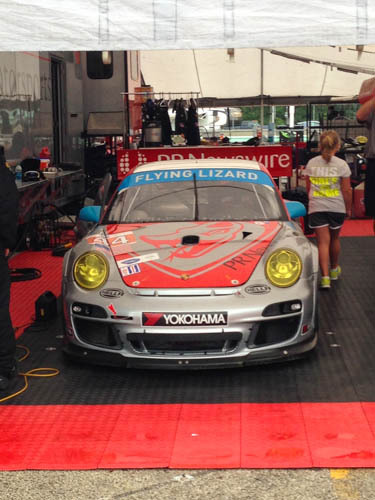 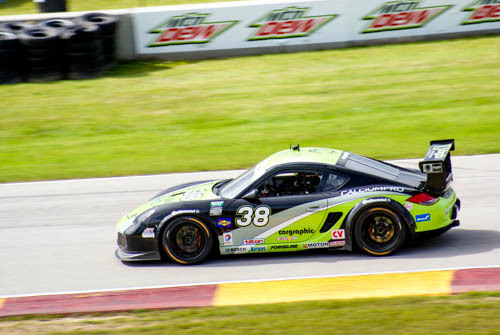 In doing so they inched out the number 38 Porsche of Spencer Pumpelly, marking the classes closes finish in history. 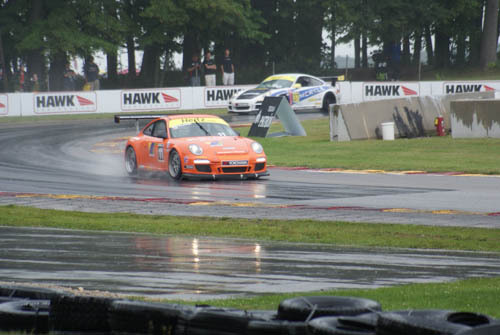 Where Saturday was marked by beautiful sunny skies, Sunday was the polar opposite. 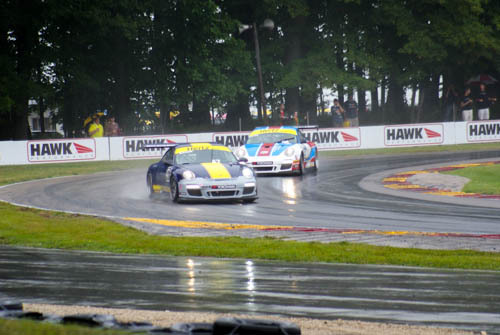 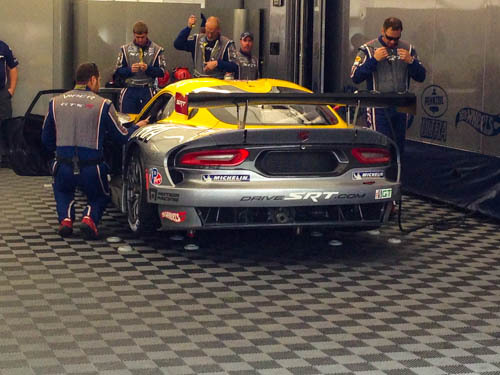 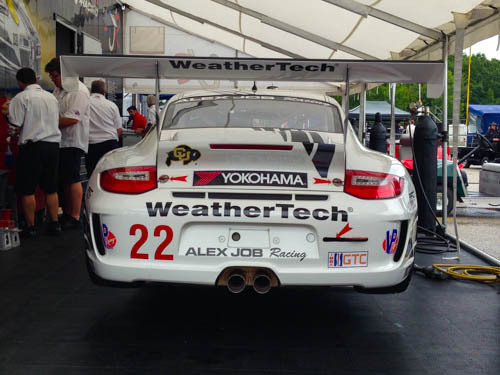 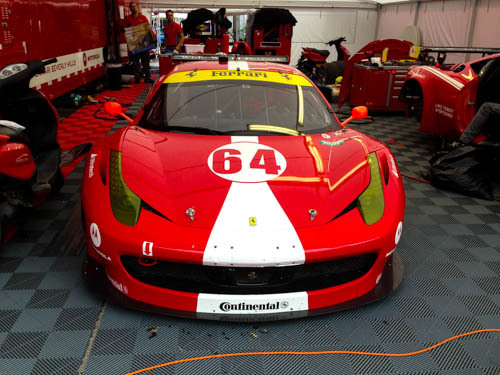 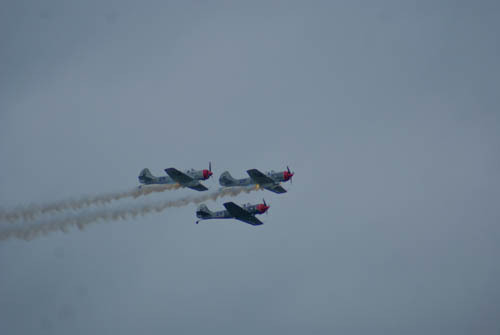 The rain started to fall around 11am and continued into the start of the American Le Mans series start at 2pm. 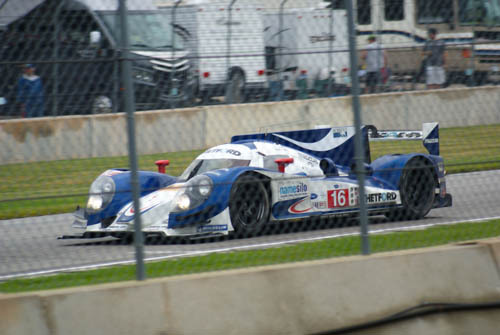 Amongst the entires starting the race on rain tires was the Mazda Lola B12/60 of Dyson Racing running in the sparsely competed LMP1 class. 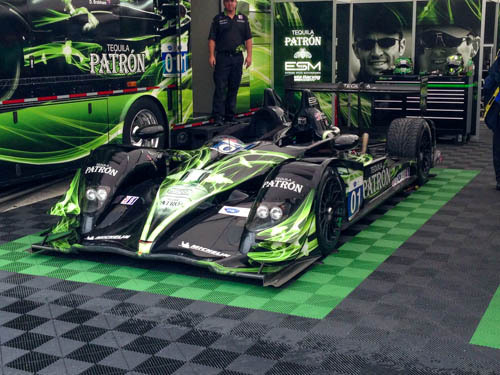 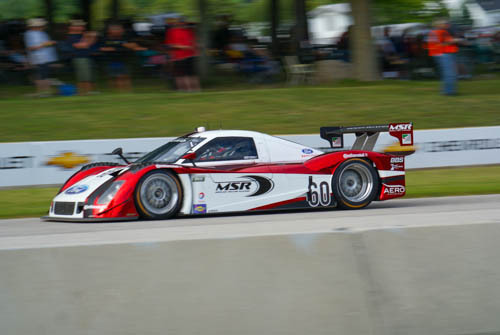 Within the class the Lola Mazda was up against the dominant Honda Performance Development HPD ARX-03c of Muscle Milk racing and game changing Deltawing race car. 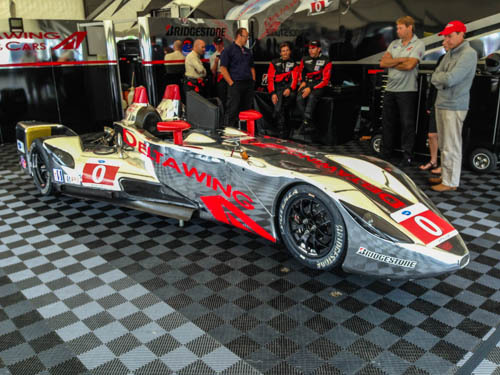 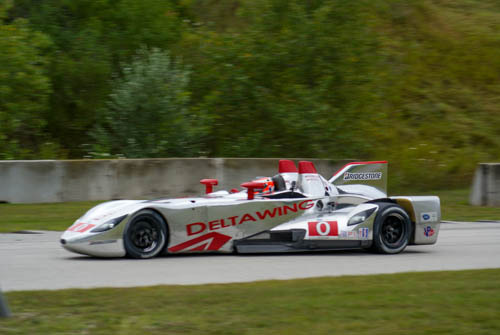 With the potential to revolutionize the future of endurance auto racing, the Deltawing challenges normal conventions by delivering a car that is half the weight of a traditional prototype, has half the power and employes a “unique” overall design. 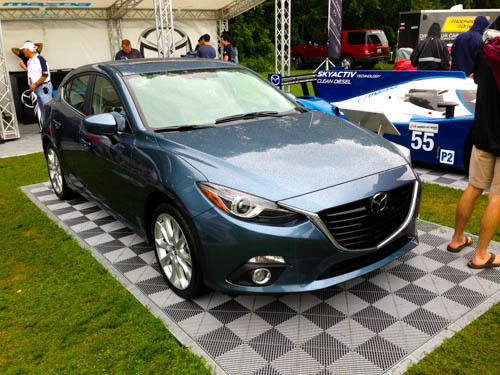 Its turbocharged engine, built up from a 1.9 liter Mazda block, delivers only 350hp, yet more than makes up for its power deficit with a healthy power to weight ratio. 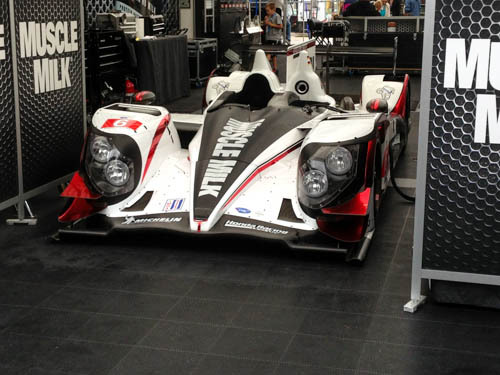 From the start the Muscle Milk Honda opened up a commanding lead over the competition and appeared that it would run off with the win, like it had done the four previous races of the season. 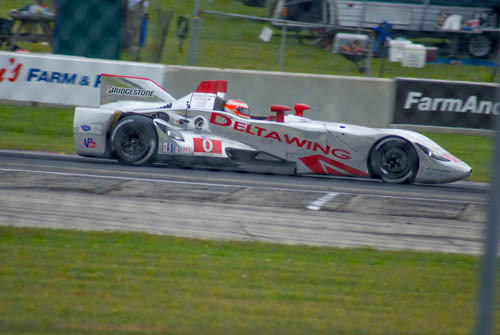 The mixed conditions, however, threw the team off and the Deltawing was able to move into the lead for the first time in its racing career. 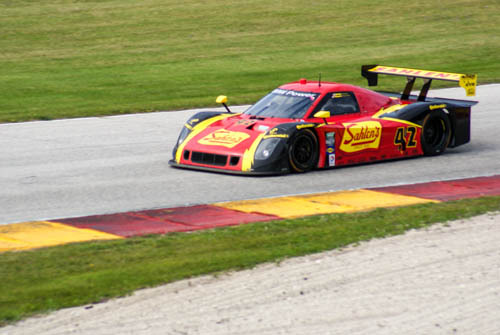 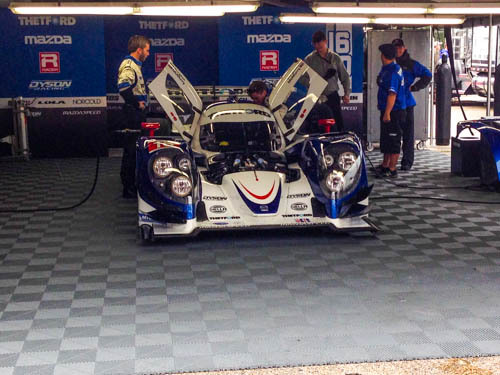 All the while, the Lola Mazda creeped up the ranks. 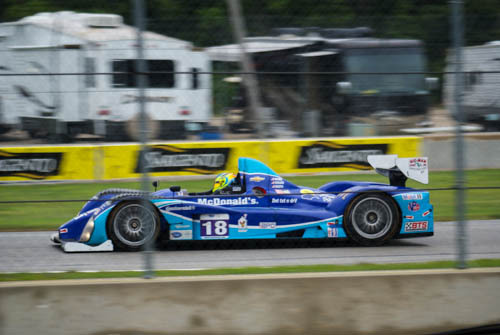 In the last 50 minutes a decision to only take fuel during a pit stop, opposed to fuel and tires, enabled the Dyson racing Lola Mazda to move into 2nd place. 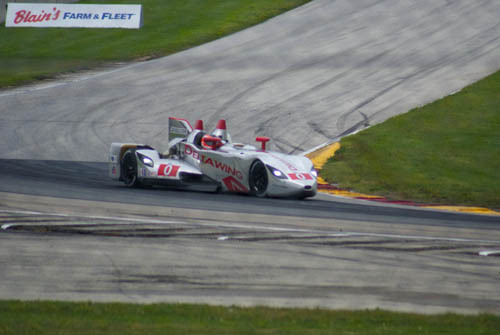 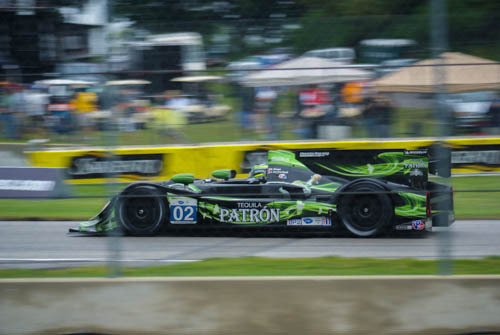 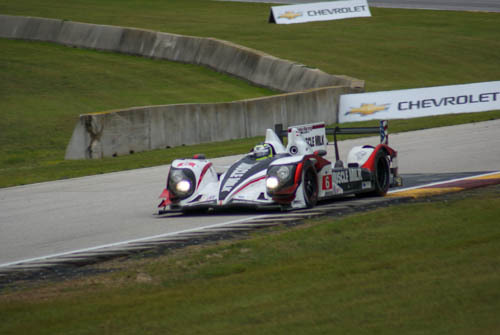 In the end the Lola Mazda held its position in second place, the Muscle Milk Honda resumed its spot at the front of the pack and the Deltawing came in third. 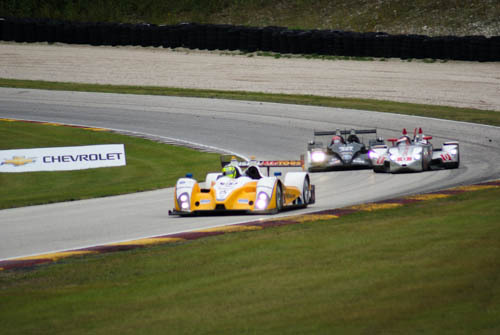 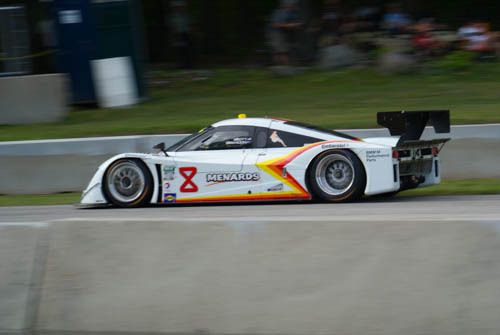 This marked the third consecutive top-two finish for the Lola Mazda and the first podium for the Deltawing. 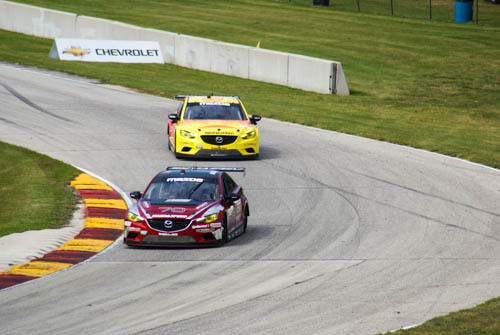 This upcoming weekend the Grand Am series continues on to Kansas Speedway where the Mazda’s Skyactiv-D racer will aim for another win. 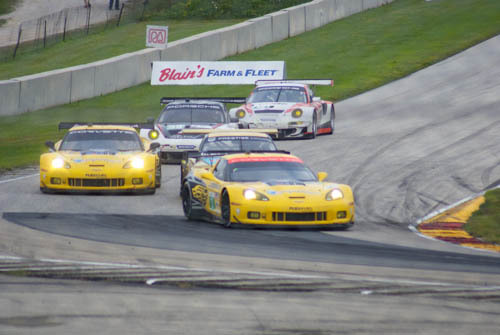 The American Le Mans takes a couple week break before heading to streets of Baltimore for the Baltimore Grand Prix. 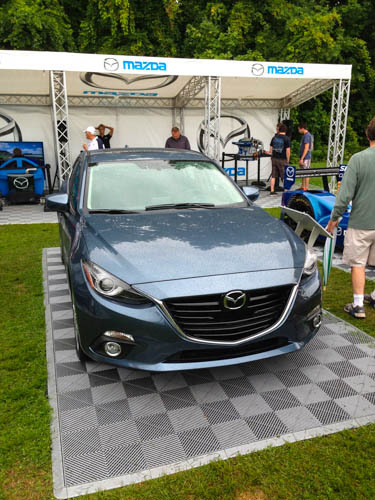 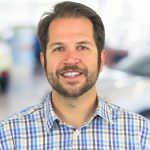 For more information on the Mazda6, including the upcoming arrival of the diesel model, call or visit Morrie’s Mazda. 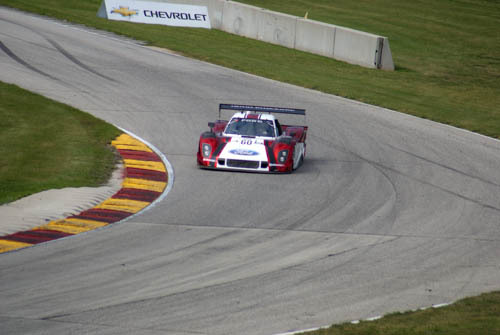 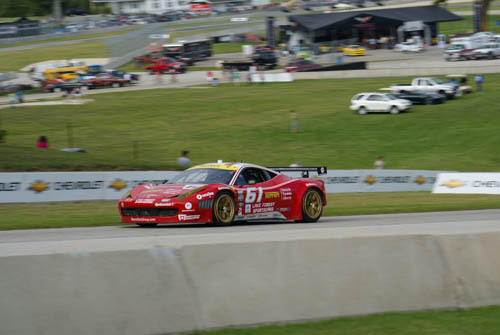 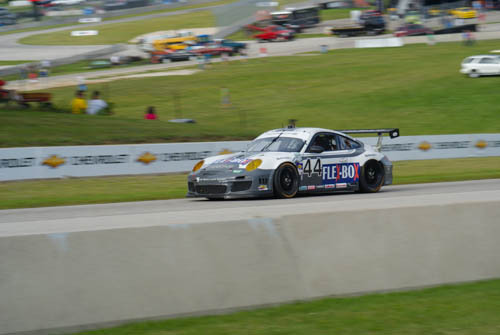 Additional photos from the Grand Am/American Le Mans races at Road America visit the Morrie’s Luxury Auto Blog.